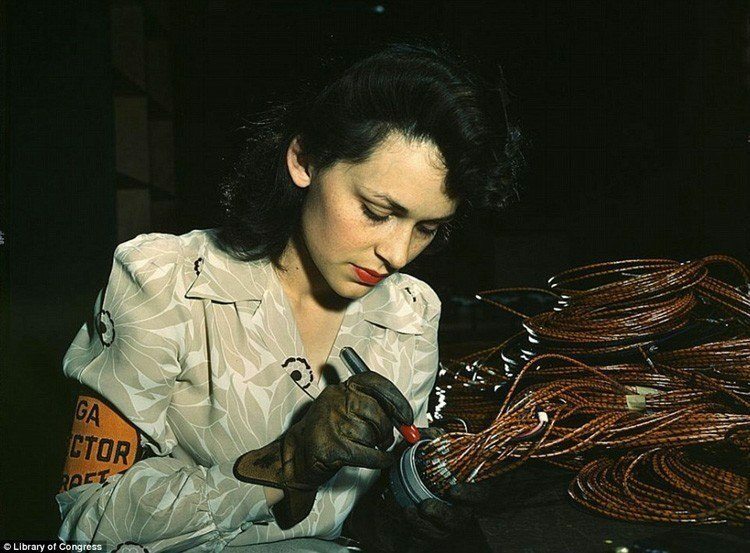 Wikipedia Woman aircraft worker, Vega Aircraft Corporation, Burbank, California. 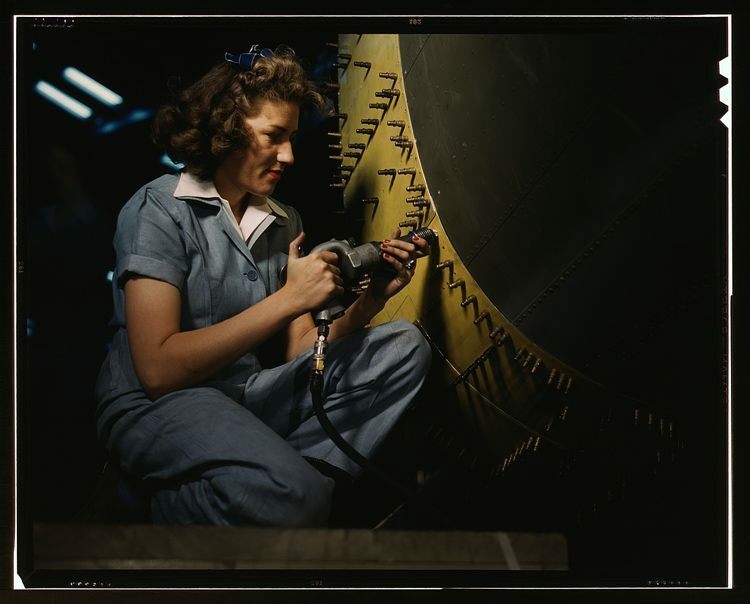 We recognize them from ‘Rosie the Riveter’ recruitment posters, but the female workforce of World War II provided us with much more than colorful kitsch. 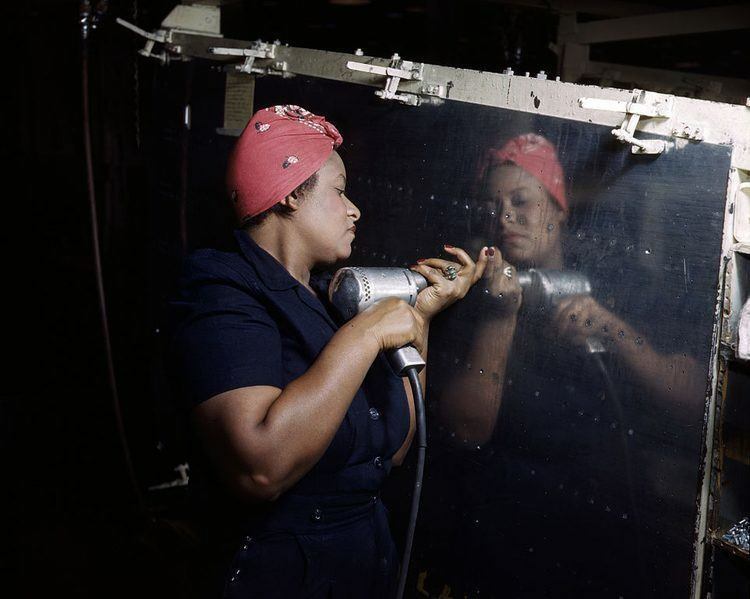 More than six million women joined the workforce during the War, and by 1942, the estimated proportion of jobs deemed acceptable for women shot up from roughly 29 to 85 percent. 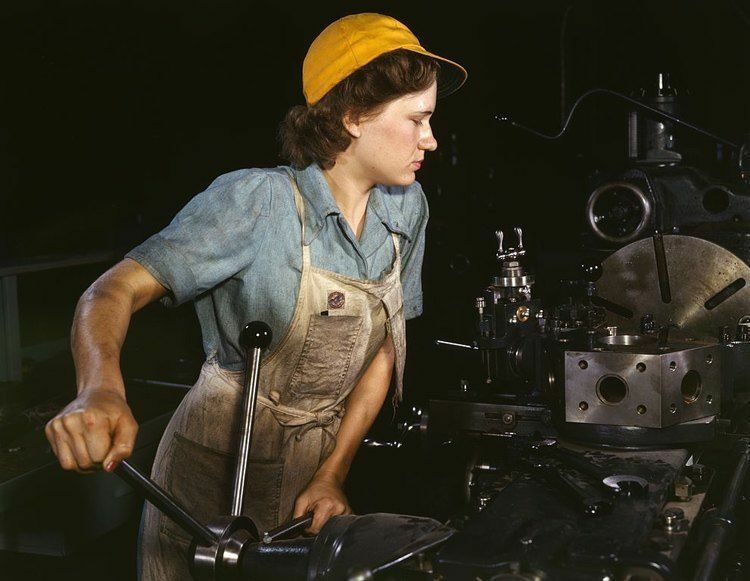 Women rose to the occasion and carried out tasks once considered out of their “reach”, feeling that it was their duty to support their short-handed country during times of conflict. All of this, in spite of the fact that their home had done little to support or empower women in its nearly 200-year history. Turret lathe operator machining parts for transport planes at the Consolidated Aircraft Corporation plant, Fort Worth, Texas, USA. Through their work these women really helped power, and win, the war. And yet, as servicemen began to return from overseas and reclaim their jobs, little changed culturally. Women were generally expected to follow male leadership, abandon the workplace and return to the home. 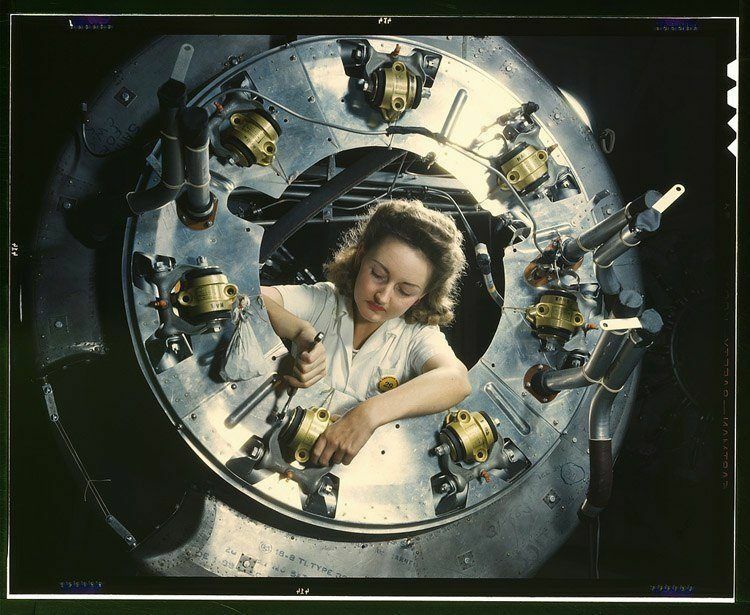 Wikipedia A real-life “Rosie the Riveter” operating a hand drill at Vultee-Nashville, Tennessee, working on an A-31 Vengeance dive bomber. 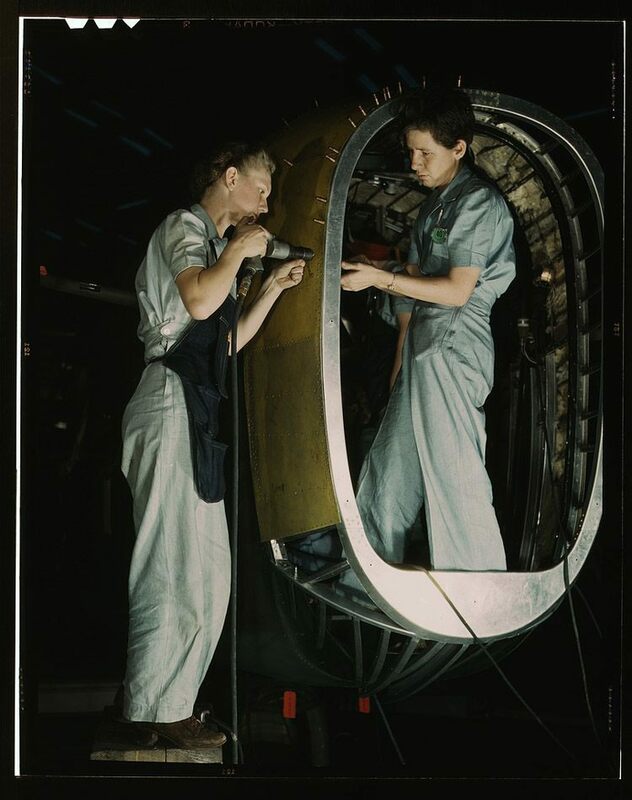 Wikipedia Women at work on bomber, Douglas Aircraft Company, Long Beach, California. 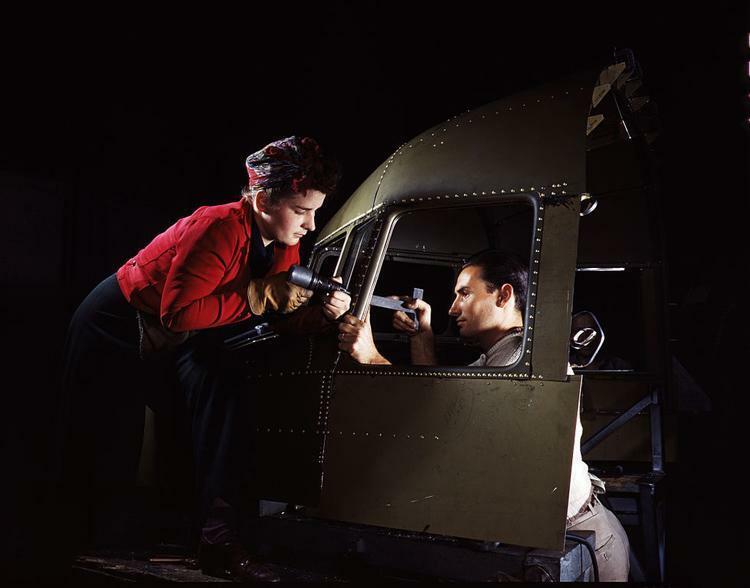 Wikipedia Riveting team working on the cockpit shell of a C-47 transport at the plant of North American Aviation, Inc., Inglewood, California. 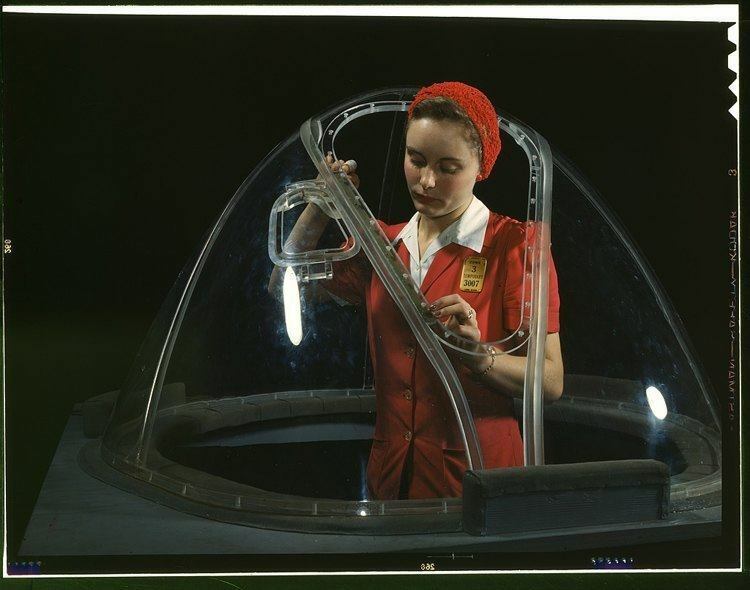 This girl in a glass house is putting finishing touches on the bombadier nose section of a B-17F navy bomber, Long Beach, California. 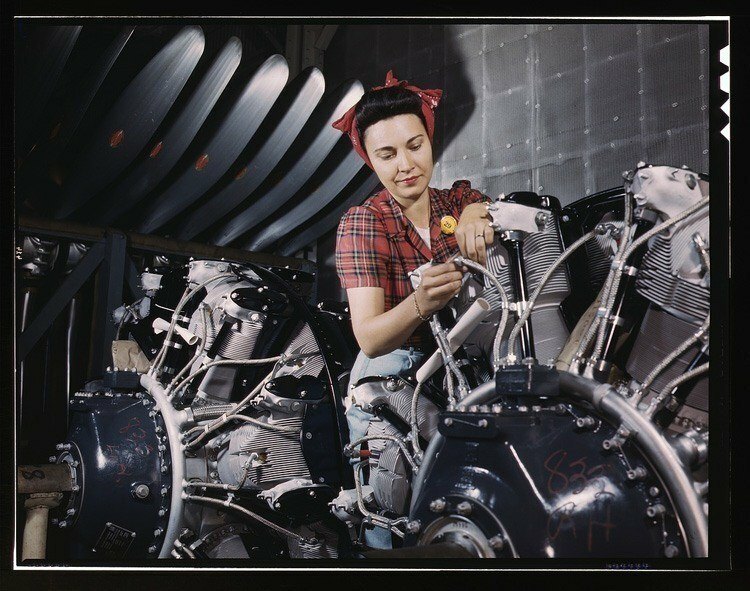 Part of the cowling for one of the motors for a B-25 bomber is assembled in the engine department of North American Aviation Inc.’s Inglewood, California plant. 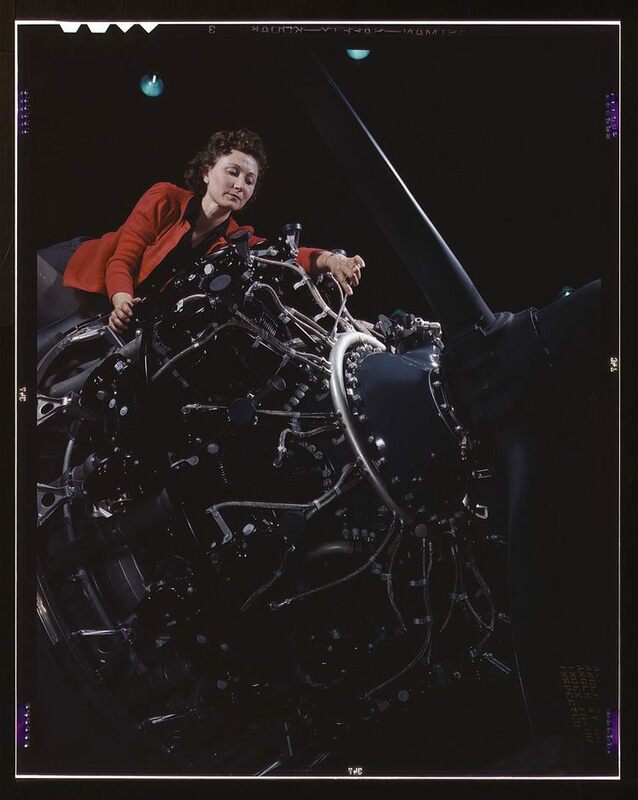 Library of Congress Woman working on an airplane motor at North American Aviation Inc. plant in California. 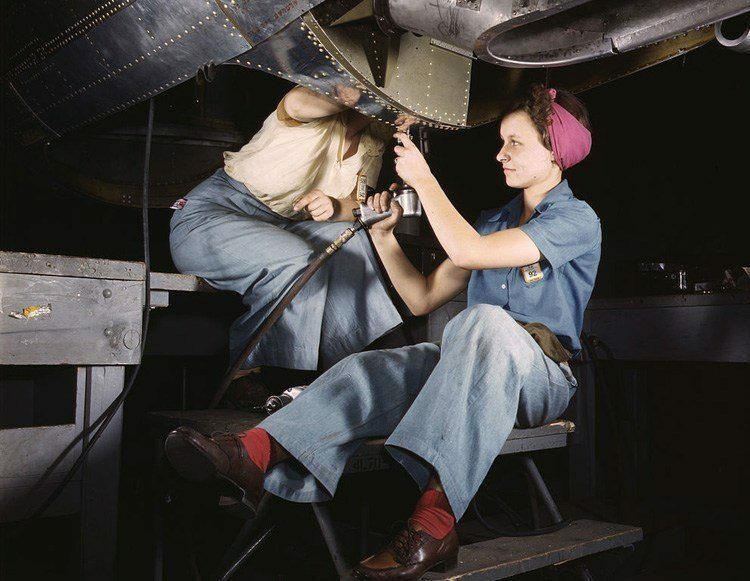 Library of Congress Riveter at work on Consolidated bomber, Consolidated Aircraft Corp., Fort Worth, Texas. One of these women, Frances Eggleston, aged 23, came from Oklahoma and used to do office work.